The TallyPlus is device which displays both the camera number (0-9) and the camera tally state (live, standby). 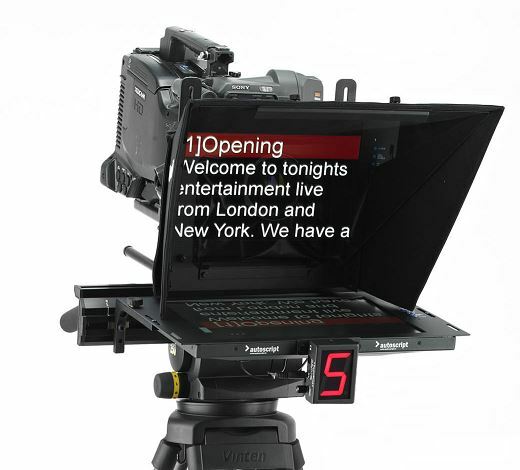 Large, clear, illuminated numbers gives instant at-a-glance information on all cameras to the talent. 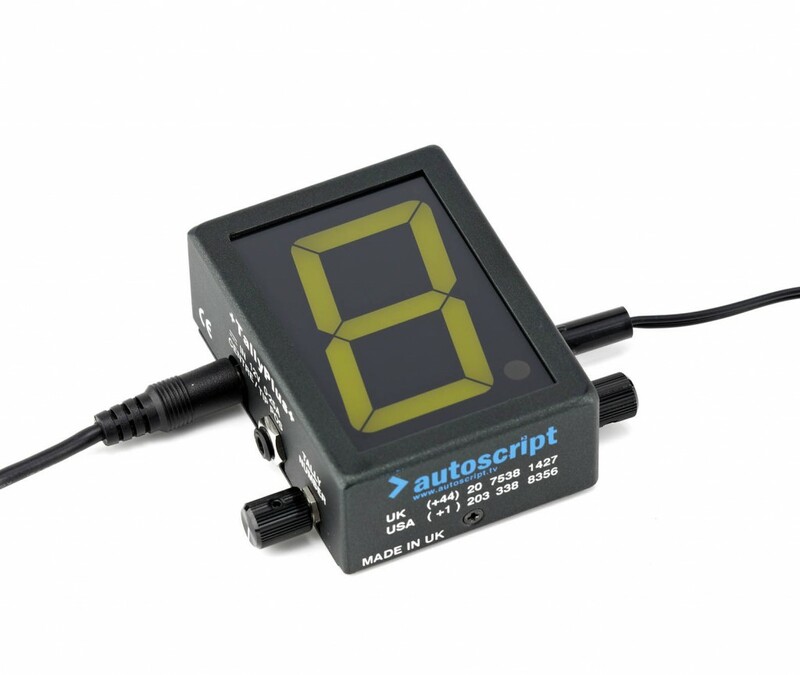 When used in partnership with Autoscript’s LED8-LED19 monitors the TallyPlus is mounted to the front of the monitor over the existing tally light. The built in opto sensor on the rear of the TallyPlus can then capture and replicate the status of the hidden tally light. 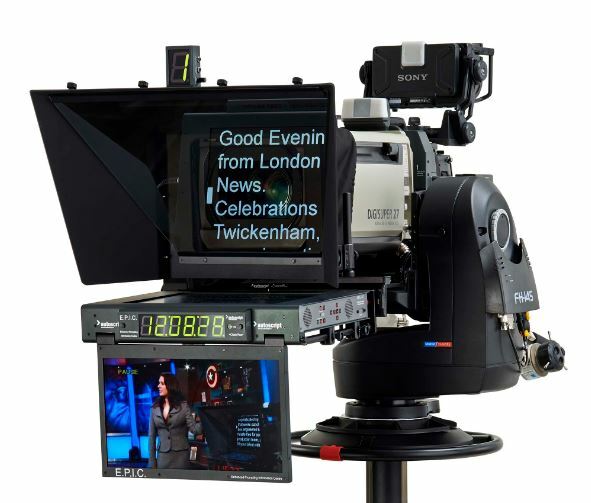 Where a ClockPlus unit is also used the TallyPlus can be mounted above the teleprompter hood (MH-S, MH-W only) and using the supplied cables will also tally in tandem with the ClockPlus. Tally number (0-9) and opto sensor sensitivity can be adjusted by controls on the side of the unit. 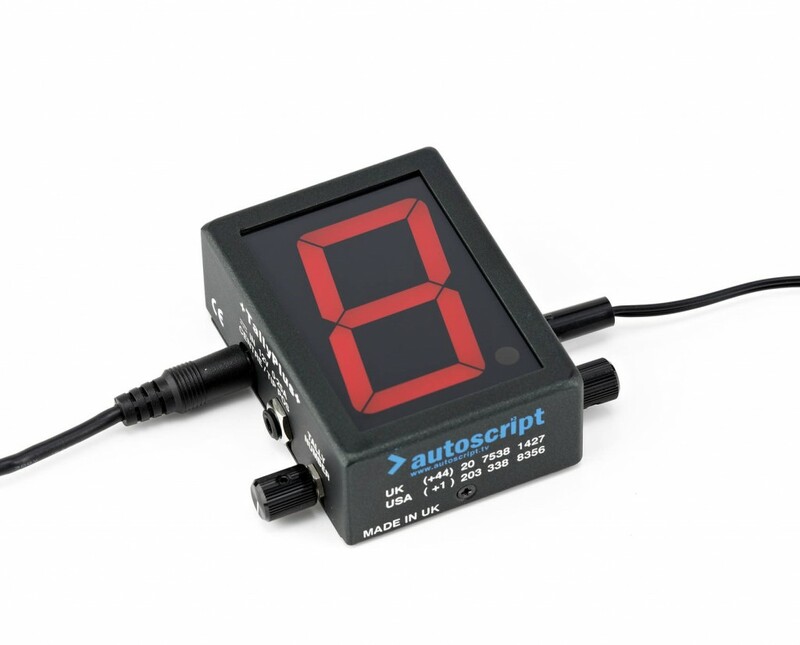 Function: Tally signal REPEAT OUT (LED8-LED19 monitor) to OPTO IN (TallyPlus) cable. Function: ACCESSORY POWER OUT (LED8-LED19, ELP15 monitor) to DC IN (TallyPlus). TallyPlus DC Power Socket: Connector type: 2.1 mm DC socket. TallyPlus Alternative DC Power Socket: Connector type: 3.5 mm mono jack socket. TallyPlus Opto Sensor Socket: Connector type: 3.5 mm mono jack socket.